Kirby Lambert’s Dauntless uses sweeping curves and long lines to create a refined, yet robust and utilitarian aesthetic. Don’t be fooled by its deceptive beauty. 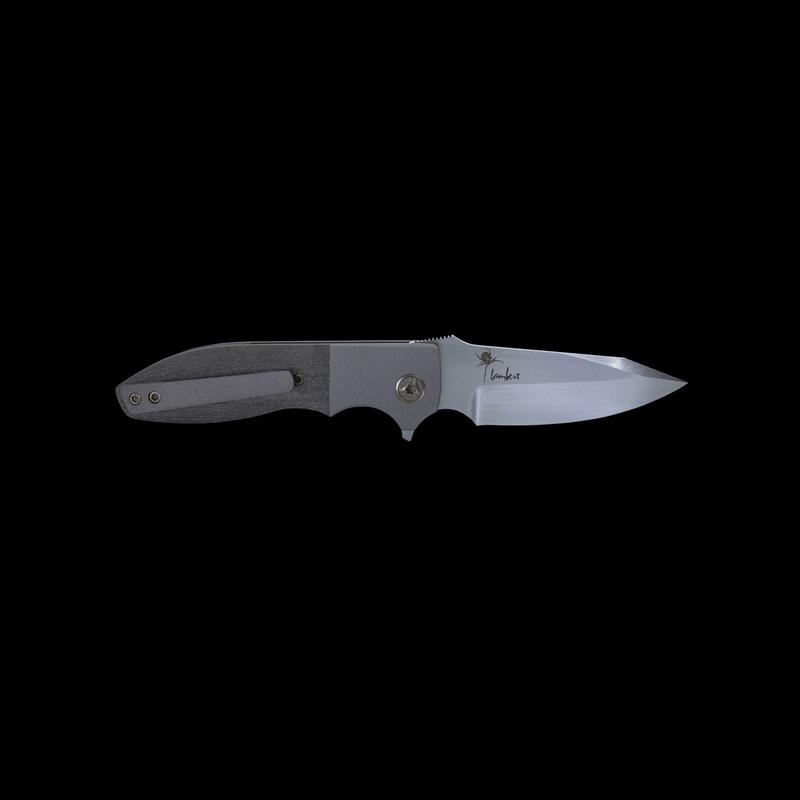 This mid-duty folder was built to be extremely capable and handle a multitude of cutting tasks. This extra compact edition of our Dauntless is eminently more pocketable yet retains the robust nature of the full size edition. 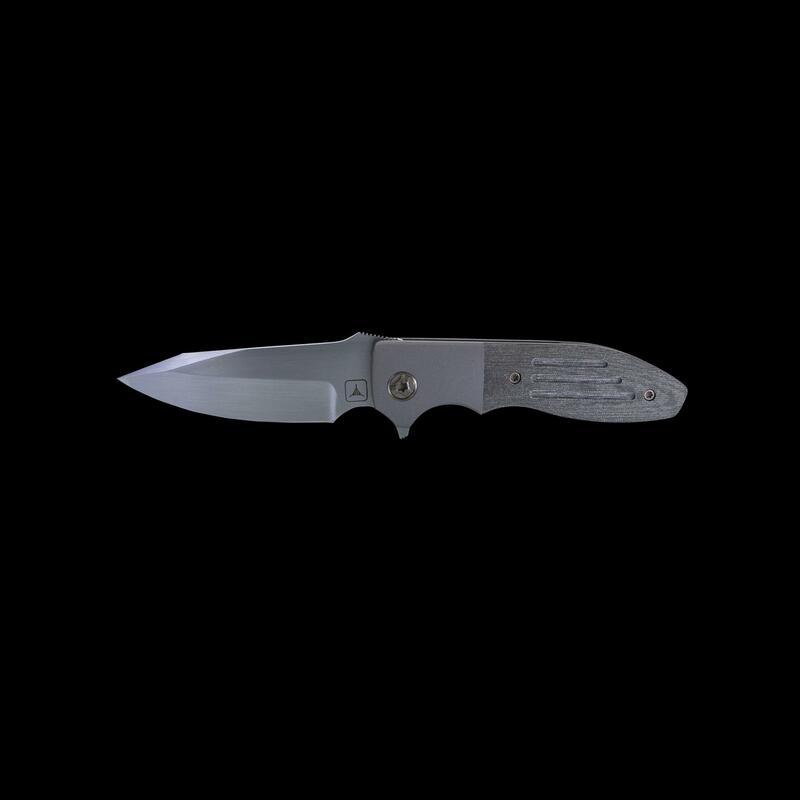 At 7.23 over all length the XC comes in over a half an inch shorter than even the compact edition while still retaining a 3” blade. The CPM 154 clipped bayonet blade is finished in a hand rubbed satin. 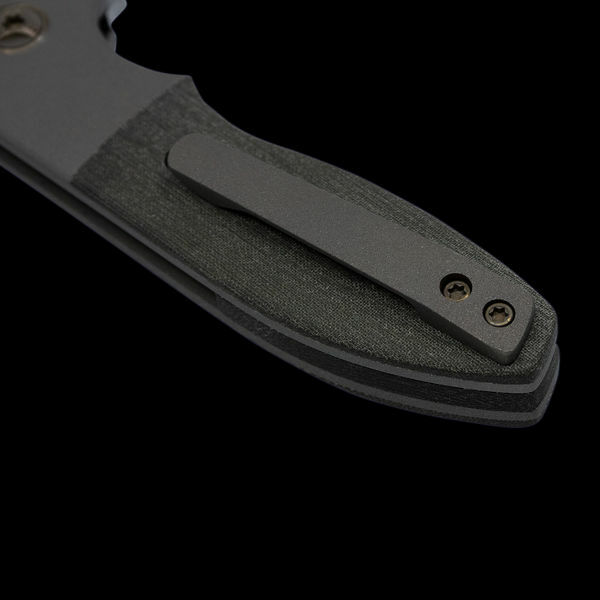 Other features include a titanium bolster, 3D milled pocket clip, and a micarta backspacer. Rounding out the list are custom pivots and hardware, anodized with a subtle two tone contrasting bronze and grey. Kirby’s exemplary fit and finish leads to an exceptionally smooth action and lock up. The CPM 154 blade, with its hand rubbed satin finish, features a modified bayonet blade with a swedge. 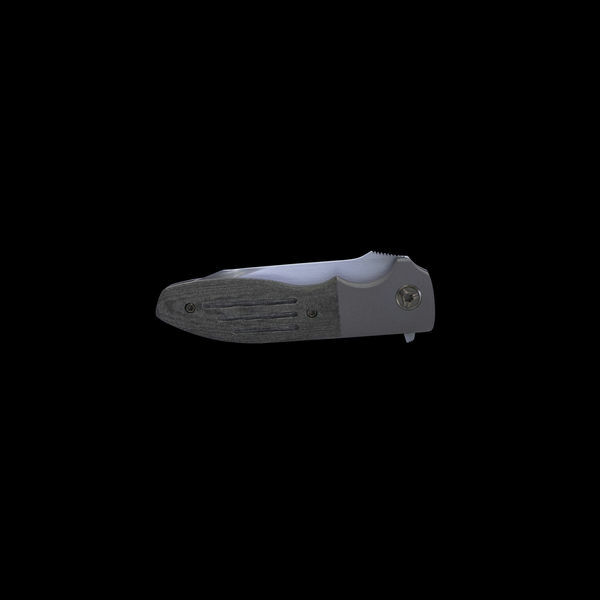 Containing substantial blade thickness for a folder this size, this stocky knife will make quick work of rugged cutting tasks. Choke up on the front choil to get a secure grip. A raised thumb ramp provides better traction as you carve out fine details. 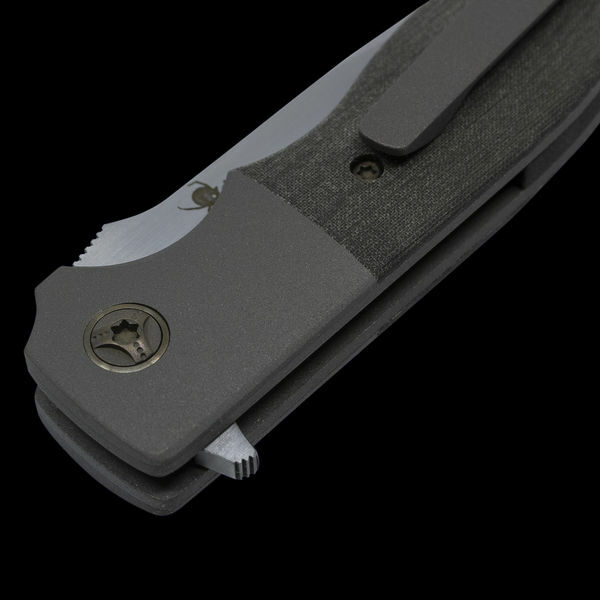 The handle, with a bolstered titanium liner lock and OD Micarta slabs, matches Lambert’s design style. 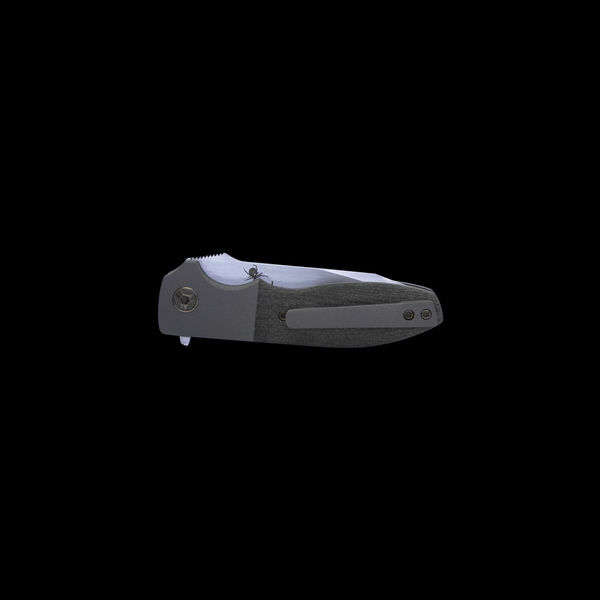 This lends to a great natural contour that nests comfortably in your hand. Lambert reserved our distinct triple fullers on the OD Micarta handle . 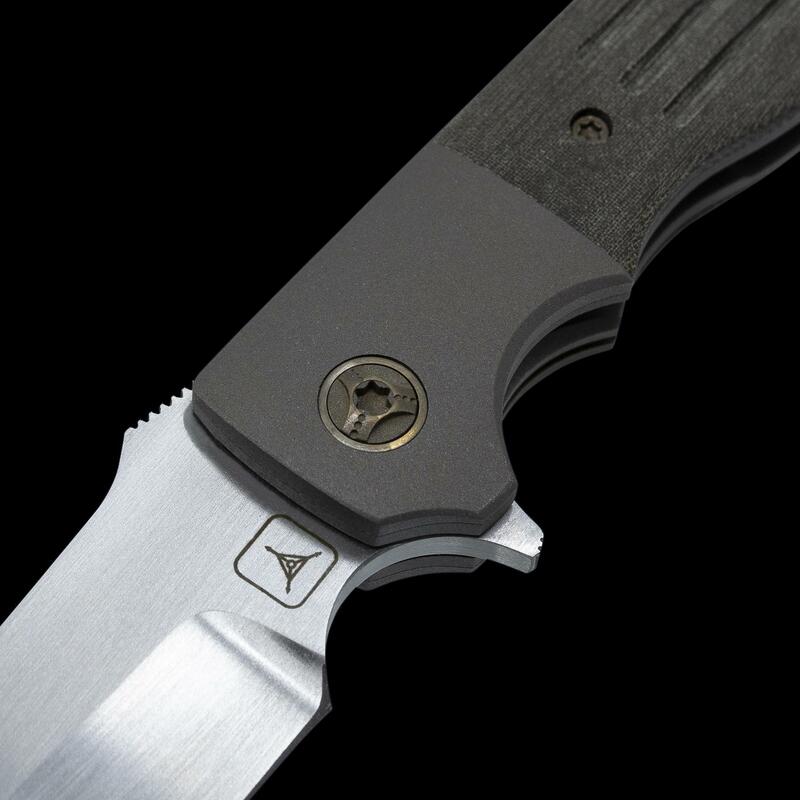 He also specially crafted custom titanium anodized Torx pivot screws and handle screws and chemically-etched the Triple Aught Design logo and Lambert Knives logo onto the base of the blade. Kirby Lambert has always had a fascination with swords and knives. He has been making knives for twenty years, and has been doing it full time for the last ten. Kirby’s trademark style revolves around merging beauty and functionality into each knife. With the help of fellow Canadian knifemakers Greg Lightfoot and Brian Lyttle, he was able to set up his own shop and start making knives full time. Kirby has been featured in BLADE, Tactical Knives and several other publications in the last few years. 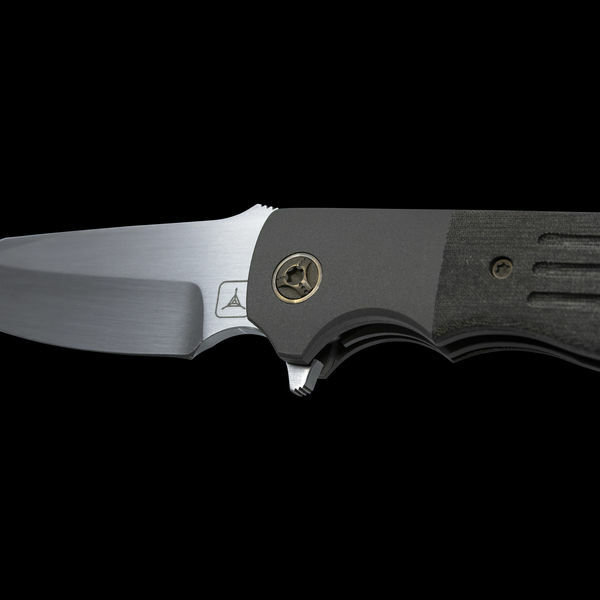 His knives have garnered him "Best Tactical Folder" at both 2012 BLADE Show, as well as the 2012 Plaza Cutlery Show. Kirby continues the trend winning “Best Tactical Folder” at BLADE 2016.